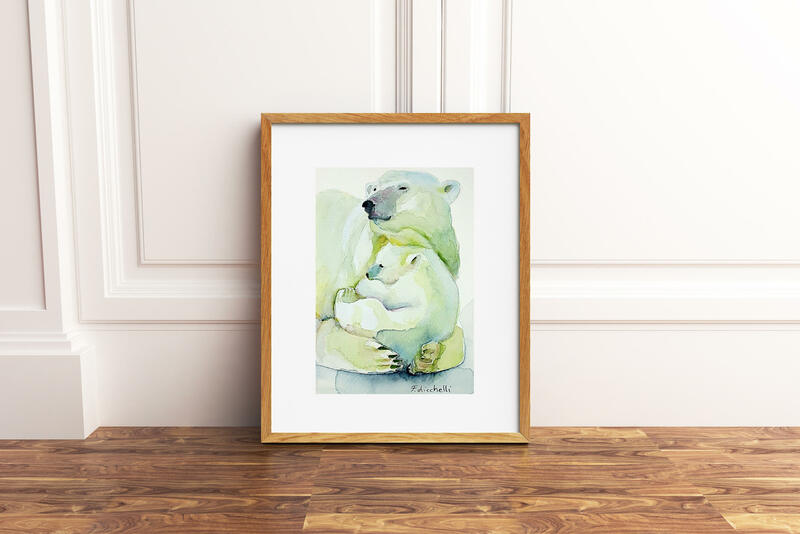 Small illustration depicting two polar bears, mom and son, greetings card, giclee fine art print, maternity, baby shower, birth, nursery. 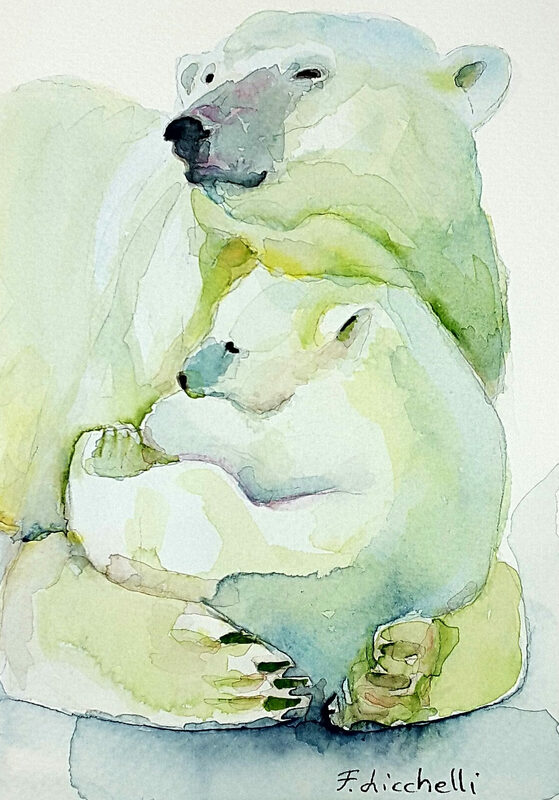 A6 Giclée print of my original watercolor. 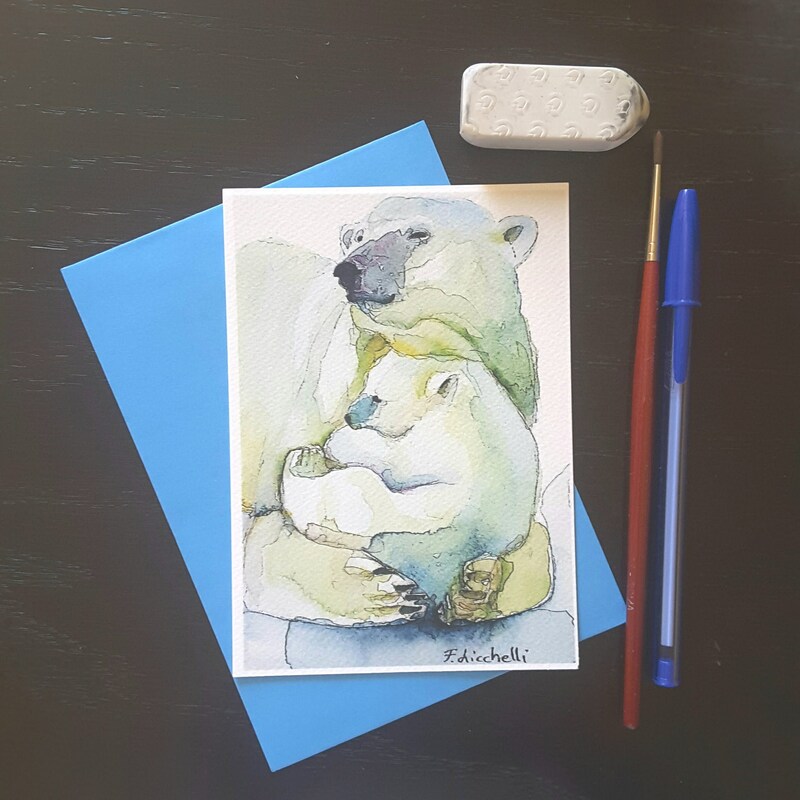 The greetings card will come with a colored envelope, in tone with the watercolor as the photos. 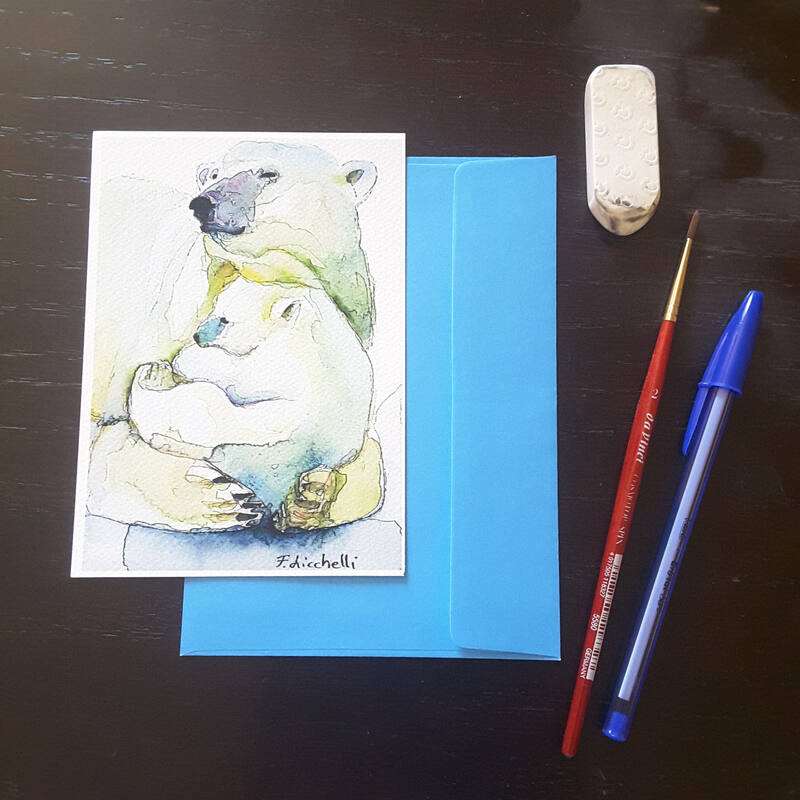 It can be gifted as a greeting card...you can write inside your special thought to a dear person. 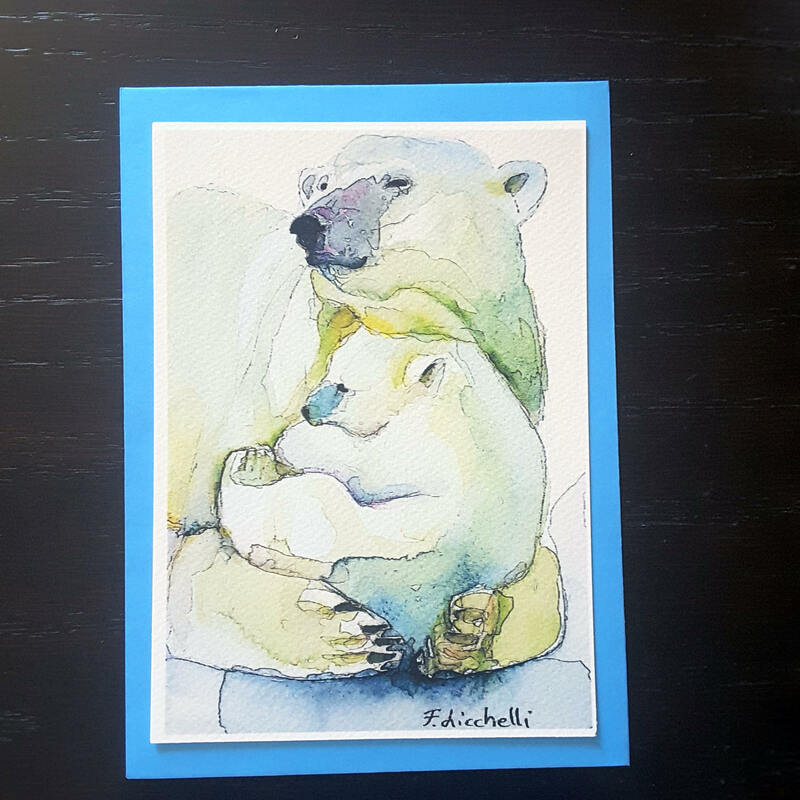 The card becomes a small artwork that can be framed too, keeping your dedication forever. The shipment will be urgent, certified and traceable.